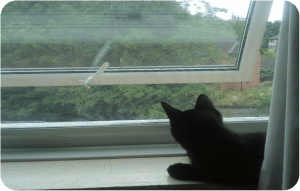 “I’ve had my Cataire screen for a couple of month now, you can’t even see it’s there. My cat Evie seems to love having the air blow on her whilst she’s keeping an eye on the world outside. The added benefits of the screen are: no flies come into the bedroom, I live near water and normally get nasty biting flies at night, no more. Also no spiders come in through the air vents now the screens are in place. My friend who does not have a cat but has a terrible fly problem in his conservatory is thinking of getting a screen. 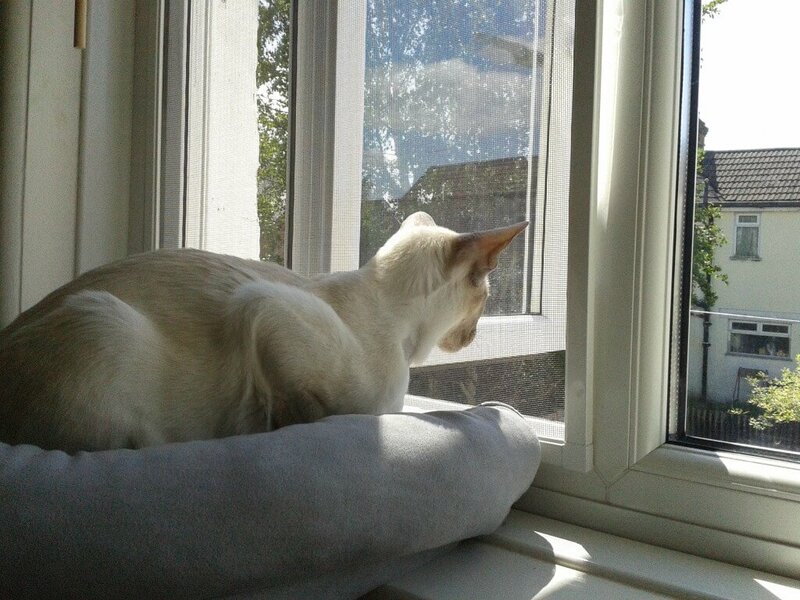 “Just to let you know that my Cataire screens are making my life a lot easier in the flat. 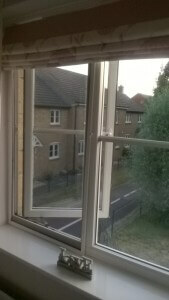 “We have used Cataire sceening for the upper windows in the conservatory and throughout our house. In both cases we bought the components from Cataire and fitted the screening ourselves. The screen components are first class quality. After 10 years of use our screens are still in good condition, more than able of preventing our cats from escaping and with the added bonus of providing a very effective insect mesh. When needed, any advice or assistance, including the sending of small components we overlooked when ordering, have been quickly provided by Cataire.